Click here for a link to the presentation, session recording and recap of our Q&A. What’s in it for you? You may be inspired to join the Conscious Elders Network, and join their climate action activism, or monthly conversations on social justice Tripido shows us the encore concept taking root in a new environment, with its two entrepreneurial leaders creating a “first in the world” phased retirement/encore program. The Conscious Elders Network is at the forefront of a movement of engaged elders, using our life experience, talents and skills to address environmental and social justice issues that challenge our world’s well being. Our members are motivated by concern about the legacy we’re leaving to their grandchildren, and all children. To address these issues we offer opportunities for education and activism through workshops, online study & conversation circles, local circles and chapters. Elders Climate Action inspires and trains elders to use their voice, votes and collective power to push for policies that reduce greenhouse gases to a level consistent with life thriving on our planet. At the core of our work we acknowledge that contemporary elders need to reclaim their traditional role and responsibility to speak for the welfare of all. This is a most exciting time, when we can use the power of our “age wave” as a tipping point for a thriving and just future. Speaker Lynne Iser is a longstanding member of Conscious Elders’ Network’s leadership team. 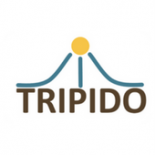 Tripido is a social start-up based in the Netherlands that engages employees, employers and the social sector for shared benefit. “Take advantage of your experience, follow your heart, improve society” is Tripido’s inspiring tagline. Co-founders Leo Smitshoek and Vincent Snijder met while working as senior technology leaders at financial services firm NN. When their positions were eliminated in early 2017, they learned about encore careers, assessed opportunities in the Netherlands and launched their program on a fast timetable. Tripido’s first pilot, with energy giant Shell Netherlands, offers employees the opportunity to work four days a week in their current job, and one day a week in a social sector organization. Employees will receive 90 percent of their current salaries. We’ll learn about possibilities and challenges for encore work in the Netherlands, learning from the pilot and plans for the next few years.